next I added some decorative paper to some different sized clothespins. For the countdown tags I used an old set of advent calendar numbers. You could rubber stamp them, or ask your kids to draw them. I laid the numbers out on my tray to see how much room I had for each tag. 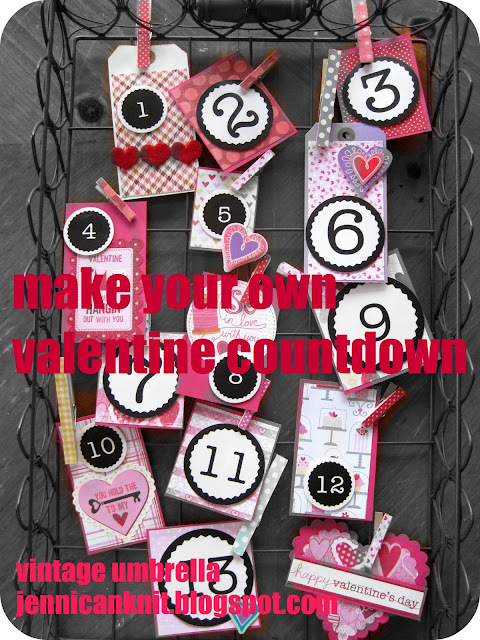 Each day, pin a new little card on your countdown. You could add little bags of candy or treats to the countdown. The tags would be cute strung on some baker's twine on your mantle too. I want one, now! That is just so cute!!! if you lived closer, I would give you mine! So cute and so pinning!